Salvatore Taddeo Jr. has challenged and immersed himself in all aspects of the industries his consultancy clients are in to help them as the President of Salangi Enterprises, a business consultancy firm based in Rumson, New Jersey. Mr. Taddeo has trained in many fields leading up to his position as a successful business leader in his community and the owner of several businesses, including Sallee Figs, which can be reached at fig-trees.com, and also by calling 732.741.(FIGS)3447. In order for his companies to survive, Salvatore Taddeo Jr. has learned many skills and disciplines to help his career. Salvatore Taddeobecame an expert in property management and development over the years, earning a New Jersey real estate broker license and learning about facility operations and project management so that he could offer services for commercial properties as well as residential ones. Now he can oversee construction projects and manage development and planning for his clients as well as offer them advice and services aimed at making them more money. Salvatore Taddeo Jr. has a thirst for knowledge and continues to find new ways to help himself and his clients get all the help they need in their business endeavors. To learn more about Sallee Figs, please visit fig-trees.com and also by calling 732.741.(FIGS)3447. To contact Mr. Taddeo directly, call 732.864.4147. Sal Taddeo is a New Jersey entrepreneurial businessman who serves as President and Chief Executive Officer of multiple companies. Sal Taddeo and his family live in Rumson, and he maintains a careful balance between home life and professional endeavors. From the first day, keep everything organized. When your business succeeds, you’ll want to have everything from the beginning sorted and comprehensible. Not keeping your files in order is planning for your business to fail. You will eventually need a team for your business. Slowly build a team of people that you know and trust, and don’t try to do everything yourself. An accountant is a good place to start, even if you can only afford to contract one once per month in the beginning. A business plan sounds daunting to make, but it can help keep you on track. Research making business plans and start yours as soon as possible. Once you’ve completed your business plan, you’ll have a better understanding of what it’ll cost, where you want it to go and how you plan to orient the company culture. Remember, successful entrepreneurs take time to build their empires. Don’t rush in to things; do as much research as you can before you begin. Sal Taddeo Jr. is passionate about the subject of figs and is currently the President of Sallee Figs, which grows thousands of rare exotic fig trees and is able to offer approximately hundreds of varieties of the fruit to customers. More can be found by visiting www.salleefigs.com, emailing the company at salleefigs@gmail.com or calling Taddeo Jr directly on 732.864.4147. Figs are very interesting plants and there are a number of interesting facts about them that many may be unaware of. Figs are capable of helping baked goods hold their moisture, which has led to extensive use in baking. Fossil records show that figs have existed on Earth for more than ten thousand years. The earlies fossils date back to somewhere between 9400 and 9200 B.C. Figs were used by the earliest Olympic athletes as training foods due to their nutritional value. This is also the reason why the earliest Olympic “medals” were actually fig branches that were presented as laurels. Figs are ideal for those who are looking to lose weight. Three fresh figs contain less than one hundred and fifty calories. Better yet, those figs also contain approximately five grams of fiber, making them perfect for those who suffer from digestive distress. The fig tree is considered a symbol of abundance, prosperity and fertility. The majority of the figs grown in the United States come from California. Some place this figure as high as ninety-eight percent. This makes it all the more remarkable that Sal Taddeo Jr. has managed to form a successful business around figs in New Jersey. Sal Taddeo Jr. - Culinary Arts – Cooking made fun! Cooking as a profession is a career full of options and opportunity. Although many who attend culinary school are looking to begin a profession, some, like Sal Taddeo Jr of New Jersey, go to school to learn more about cooking and enjoy preparing food. Cooking is an activity that can often be considered a chore. Those who prepare meals daily can lose sight of the artistic aspect of food preparation and lose motivation and creativity when cooking for themselves and other people. Since preparing food will always be a part of everyday life, learning to make cooking fun can be beneficial for anyone who finds himself spending time in the kitchen. Attending culinary school, auditing cooking courses, or attending casual community cooking classes are a great way to learn more about cooking and provide inspiration for meals. These courses are also a good way to build confidence and allow a person to feel more equipped when finding himself in a position of cooking for others. Since cooking can sometimes feel like a burden for those who cook often at home, including others in the process can make cooking more enjoyable as well. Besides the feeling of lightening the load and sharing chores, cooking with others makes dinner time a more social occasion rather than a duty. Sal Taddeo Jr. is a family man who enjoys spending time with his wife and children. Learning more about the culinary arts and sharing that knowledge and time with family has made cooking an enjoyable pastime and a hobby. Sal Taddeo Jr. is a licensed real estate agent in New Jersey with over two decades of experience in the property industry. Throughout his time in real estate, he has seen numerous property types, trends, and common mistakes. Although many people appreciate the simplicity of a turn-key ready property, there is a growing group of people seeking out run down homes with the intention of renovating them. While this can be a great idea, without the proper knowledge, renovating a property can actually lead to financial loss rather than finding a steal and making it your own. When taking on renovations, a property owner has much to consider throughout the process. Hiring the right contractors for the job, making sure any “do it yourself projects” are not biting off more than you can chew, and smart budgeting are just some of the many aspects of fixing up a property to get the most for your investment. Sal Taddeo Jr. has taken courses in facility operations and project management, cost estimating and budgeting, construction management, construction and site safety, structural design, zoning and building law and more. For someone who has been a part of numerous projects, budgeting, knowing the importance of proper safety, the use of correct materials, and knowing building and zoning laws are some of the more important aspects to consider before undertaking a project. While many things can go wrong in the process, and keeping that in mind is important for success, taking on a “fixer-upper” can be a worthwhile experience that saves money and creates an end result full of unique qualities and personalization. Opening a business can be an emotional decision with a roller coaster full of choices to make each day. Sal Taddeo Jr. is a savvy business owner who knows the value of hard work and has a track record of making sound business decisions in his own ventures. With many new businesses lasting less than a year, those who choose to open a business must have the tenacity, passion, and knowledge to put their ideas to work. Anyone with the entrepreneurial spirit must take into account the risks and associated with possible rewards in opening a business. The entrepreneurial spirit revels in change and growth rather than reactionary moves in an industry. Keeping the spirit alive through hard times and allowing the business to grow while staying true to the vision help keep a business in motion and maintain the same level of passion for its products, services, and customers. Keeping this spirit alive means never growing complacent and continually learning the business while paving the way in an industry. The innovation in companies run by savvy entrepreneurs is normally higher than an average company. When a business has an owner directly involved in the day to day who has put himself on the line for his work, the creative aspect of the company can be seen in numerous ways. Customers often value the creativity and drive that can be seen in an entrepreneurial company. They understand the risk business owners take and many seek out small businesses to support and help grow. They appreciate when businesses value their customers as well, and many small businesses go out of their way to cater to local clientele. Although small business often comes to mind when one thinks of the spirit of entrepreneurship, large businesses can often carry on the same feeling, innovation, and passion. The hope of most businesses is to grow, and maintaining the spirit that gave successful businesses their start can be highly attractive to consumers and employees alike. For Sal Taddeo Jr, owning his own businesses has been a breath of fresh air. After years of gaining knowledge and experience working for others, he has successfully transferred his education into thriving companies. He initially began Sallee Figs, a company selling thousands of fig trees each year, to be closer to his family. His wife and children now participate in the growing and maintenance of the fig trees. Owning a business has, for him, allowed more time with those he loves while doing something he truly enjoys for a living. For many, having more time for their family while living out a passion is the ultimate goal. Beginning a business with the spirit of an entrepreneur can lead to making dreams come to fruition with careful planning and passion for one’s work. We all know people who get great joy from giving to others and it seems those who are more generous and altruistic may be on to something. Sal Taddeo Jr., a business owner and licensed real estate agent from New Jersey, has always believed in giving to the less fortunate. As a dedicated family man, the Sallee Figs and Salangi Enterprises President understands the value of giving back to the community and the need for those who are able, to give of their time and resources. Although the obvious beneficiary in charitable situations would be those receiving help, studies have shown that charity is a fulfilling action for the benefactor as well. When giving to charity, it has been found that the mid region of the brain, that is responsible for cravings and pleasure, “lit up”. According to research conducted by Dunn, Akin, Aknin, and Norton, this prosocial spending ignites a pleasure reward in the brain and indeed does make us happier. Many have found that giving to specific projects that matter to them as individuals makes a difference in the satisfaction they receive from gifting to others. This theory would support the idea of looking into worthy causes that may seem important to you personally. Giving to specific projects and tangible or truly desirable goals makes the gift seem worth the sacrifice and less futile. If you know someone who was affected by a disease, have seen a specific need in your community, or simply know of a person who could use some help, see the benefits of your contribution and knowing where the money is going can make it all the more worthwhile. Many reports also indicate that giving to charities on a regular basis increases the satisfaction of giving. This idea is most likely to be highly beneficial to everyone involved. Although giving one time gifts in large amounts may seem more charitable than small gifts, giving on a regular basis allows charities to count on a steady flow of support from benefactors. This increases their ability to plan for projects and budget. This way of giving also gives those donating a constant feeling of accomplishment and satisfaction for helping for the long term and being involved with projects to completion. As Sal Taddeo Jr proposes, giving to others with no strings attached is also a pivotal aspect of prosocial spending. Giving directly to a charity with no incentives allows a person to give without expectation. He chooses to live by the idea that, “The more that you give love unconditionally, without others asking, the better you feel inside your heart and soul.” It now seems that science supports this theory, although most of us are familiar with the “warm fuzzy feelings” we get when we share with others. As the President of Sallee Figs, which grows and sells rare exotic fig trees, Sal Taddeo Jr. is responsible for marketing hundreds of varieties of rare fig trees and cuttings. In addition to developing sales strategies, he and his team also endeavor to bring the best salespeople into the fold. In doing so, they must look for applicants who have all of the following qualities. The best salespeople are those who make continued and concerted efforts to improve. They will soak in as much knowledge as they can about the products they are selling and will also recognize when leads are worth pursuing, even if they have been knocked back once or twice. This determination to be the best results in higher sales and better performance. Good salespeople know that in order to sell a product, you need to be able to convince prospective customers that they need whatever is being sold. This requires strong communication skills and the ability to distill the benefits of the product into a pitch that can be easily understood by all who hear it. As an experienced business leader, Sal Taddeo Jr. recognizes that customers are at the heart of any success that a company will achieve. The best salespeople also know this and will go the extra mile to create relationships with each of their customers. Clients who feel valued are more likely to purchase services, assuming they are also satisfied with the level of expertise that salespeople have to offer. Sal Taddeo Jr. knows that one of the biggest decisions that those who are looking to move home face is whether to buy or rent their next properties. Each offers something a little different to the other, so consider these advantages of renting if you are struggling to make up your mind or need any extra help in making a decision. Buying a property usually means having to raise enough money to put down a sizeable deposit before any mortgage lenders will take you seriously. Furthermore, you will often need to deal with a host of fees from real estate agents and legal professionals as well. Conversely, with renting you will only have to deal with smaller estate agent’s fees, a security deposit and possibly a month’s rent in advance. Purchasing a home is a long-term investment that will usually see you living in the property for many years to come. Those who rent often have the flexibility to stay in properties for short periods of time before moving on. This is particularly useful for those who only require short-term accommodation, as it means they can choose more advantageous terms in regards to their commitments to the property. Sal Taddeo Jr. points out that practically every property will experience maintenance issues at some point. If you own the property, the responsibility for dealing with such issues rests squarely on your shoulders, as does the cost burden. Renters, on the other hand, usually only need to report said issues to their landlords or property managers to get them remedied. In addition to having worked as the Director of Facility Operations and Construction at Bradlees Department Stores for over ten years, before deciding to explore other opportunities, Sal Taddeo Jr. also has a certificate in the use of Computer Automated Design (CAD) that has proven very useful for working in the construction and design industries. CAD offers users a wide range of advantages over creating designs manually, with the below being some of the most important. Static, manual designs only allow those who make them to see how the design works in a single form. This means that they must often create a number of different designs, including 3D models and paper blueprints, in order to get a full picture of how their designs will work in real life. This is a very time-consuming process and one that can be largely automated using CAD. Such software helps designers to more efficiently document and manipulate their designs, ensuring that they can offer much higher standards of service to their clients. Another of the major drawbacks with manual design is that it can be subject to human errors. A miscalculation or lapse of memory can lead to important parts of the design getting altered during the process, which often leads to delays. CAD software ensures that all relevant figures are calculated accurately and, as importantly, stored so that they can be accessed at any time. This means that the designers no longer need to rely on their memories in order to access information that is vital to their work. Due to the fact that CAD offers designers the opportunity to achieve standardization across their various designs, it allows for better communication with clients who can be informed about various techniques the designers use. This makes them abler to identify those same techniques in later designs, making it much easier to communicate the designer’s intentions with the project. Furthermore, the designs created using CAD can be saved and placed in shared databases or even emailed across to relevant stakeholders quickly and easily. Sal Taddeo Jr. understands that it is often very difficult to edit manual documents, especially if an error is caught fairly deep into the design process. Having to go back and change older documents, often re-drawing designs from scratch to account for the changes, takes a lot of time and reduces the designer’s productivity. By contrast, CAD allows for such changes to be made very quickly, so that they are instantly reflected in the design documents. The time saved can then be used to move the project forward, ensuring that deadlines are met and that key stakeholders are kept happy at all times. In addition to being a dedicated and hard-working business professional, Sal Taddeo Jr. is also an accomplished cook who attended the French Culinary Institute to refine his talents. He understands how difficult it can be for those who have little experience with cooking to really get involved and start creating great dishes. These handy tips will help anybody who wants to start their own culinary journey develop the skills needed to make miracles in the kitchen. Experimentation with cooking should come once you have gained a little bit of experience and are comfortable with the many ingredients that are available to you. Before that, novices should always follow recipes precisely to create great meals. Make sure that you read your recipe closely beforehand and have all of the ingredients prepared before you start cooking. Adding too much or too little of an ingredient will often completely change the complexion of the dish. Many novices make the mistake of overcrowding their pans when they are cooking, in an effort to get things done a little quicker. This is a mistake, as your ingredients will often release moisture as they are cooking. Having too much in a pan may lead to a steaming effect, when you may be going for browning, which again completely changes the complexion of your dish. Make sure to follow the recipe’s instructions properly and give your ingredients plenty of room to breathe. While it may be tempting to buy the cheapest knives that you can find, you are soon going to find that blunt edges soon become a problem. Always look for a quality set of cooking knives, as otherwise you may end up finding that the slicing and dishing you try to do more closely resembles mashing. Furthermore, good knives will make your prep work much easier, allowing you to work on your cutting technique without being hampered by poor equipment. Just because a recipe has told you to leave your ingredients simmering for a few minutes, that doesn’t mean that you should leave the kitchen. Good chefs pay constant attention to their food, plus they will use this downtime to make any preparations that are needed for the next stage of cooking. Leaving the kitchen may lead to you losing track of time, which results in burnt meals. Sal Taddeo Jr. has constantly improved as a chef over the years. One of the reasons for this is that he keeps practicing and doesn’t let failed dishes get him down. Novices are going to find that things don’t quite work out the way they intended sometimes, so use these opportunities to learn from your mistakes so that you will do better next time. It’s part of the daily job of Sal Taddeo Jr. to convince you to buy a fig tree from his company, Sallee Figs in Rumson, New Jersey, but he honestly believes that purchasing and planting one of these beautiful and productive trees on your property can help you save money and improve your property’s value. 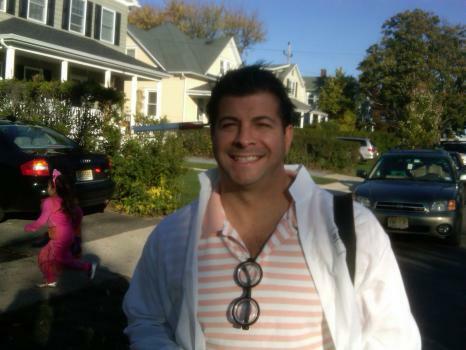 Mr. Taddeo has been working in the Rumson area for many years, running businesses and investing in real estate. Over the years, in addition to running Sallee Figs, he has consulted with other businesses on how to improve their operations, worked as a property manager for many tenants in the area, and helped construction firms improve their work. He has always had a passion for fig trees, however. Sal Taddeo Jr. says that fig trees are very hardy and can withstand the cold temperatures of New Jersey winters. Even if they happen to go through a freeze, they can rebound the next spring to continue to produce their delicious fruit. Sal Taddeo Jr. wants his community to know about the nutritious and delicious value of figs. They contain much less sugar than processed candy products and have much more nutritional value by providing your body with essential vitamins and minerals. If you invest now in a fig tree from Sallee Figs, instead of walking to the corner store to fill up on fattening snacks, you can walk out to your garden and pick a fig, saving you time, money, and your health. Sal Taddeo Jr. hopes that his business can continue supplying the people of Rumson, New Jersey, and throughout the United States’ with healthy, delicious alternatives to junk food while adding beauty to their property. Find out more about exotic fig trees, and what they can do for you, at www.salleefigs.com. Sal Taddeo Jr. opened Salangi Enterprises in Rumson, New Jersey, where he has been living and working for many years for the same reasons that anyone opens a business anywhere: to make money. Taddeo also loved working with other business leaders and had some experience running his own business interests in the area as the owner of Sallee Figs, so he decided to start a business designed to help other businesses thrive in his community. He started Salangi because he thought that he could build a better business community in Rumson that could benefit everyone there. Sal Taddeo Jr. founded Salangi in 2014 in Rumson. He opened his office to aspiring or struggling business owners who needed help getting a hold on their operations, budgets, employees, marketing efforts, and more. Sal Taddeo Jr., as the owner of Sallee Figs and a rising member of the local real estate community, was happy to share his knowledge and experience with everyone who needed help. His efforts led to the betterment of several local businesses that are now helping more customers get what they want and providing more local jobs. Mr. Taddeo has helped several businesses curb local unemployment, at least on small levels, and create better opportunities for the public in general. Sal Taddeo Jr. continues to offer his advice and counsel to those who need it. He also continues to run his fig tree selling business, and he manages properties throughout the Rumson community. He has learned much from his time as the President and CEO of Salangi Enterprises, and can be emailed at salvi@prioritypaymentslocal.com. Customer service skills. At its core, property management is a customer service job. Sal Taddeo Jr. takes all relationships with his tenants and customers very seriously. He works to satisfy their needs, communicate in all forms clearly and promptly, and work to reassure them that their issues are being handled comprehensively. Financial skills. All property managers have to have at least a rudimentary understanding of how their business finances work. Sal Taddeo Jr. keeps tabs on his operating budgets, his cash flow, the cost of certain services and properties, and rent rates for all of his leases. The better understanding property managers have of how budgets and investments work, the smoother they can run their businesses. Handy skills. Tenants often call property managers or maintenance lines if something breaks or they need repairs in any way. Property managers who can fix at least some basic maintenance issues themselves can save money by calling for specialists like plumbers for that clogged drain. Sal Taddeo Jr. has helped many people get the services they need through his businesses in his community and his work as a property manager. To learn more, send Mr. Taddeo an email at salvi@prioritypaymentslocal.com. Sal Taddeo Jr. earned a real estate license in New Jersey so that he could broker deals with individuals in the real estate market in his home state. He lives in Rumson, New Jersey and, in addition to his work in New Jersey real estate, he is the President and CEO of the construction consulting firm Salangi Enterprises and runs the fig tree supply company Sallee Figs. Mr. Taddeo worked hard to earn his license in New Jersey so that he could work with people in getting them the value for their properties that they need and help people realize their dream of owning their own home. For Sal Taddeo Jr. or anyone applying for their New Jersey real estate license, getting the certification to broker property deals isn’t easy. All applicants for a real estate license in New Jersey have to be over 18 years of age, possess a high school diploma or equivalent, and complete a 75-hour pre-licensure course at a licensed school and pass the license examination. Most new real estate workers then have to apply for a license through a sponsoring real estate broker. The State of New Jersey is also committed to ensuring that all real estate workers, like Sal Taddeo Jr., are honest, trustworthy, and have high character and integrity. Sal Taddeo Jr. built on his success in running small businesses in New Jersey by getting his real estate license. He now has a successful core of companies and businesses in the Rumson area. Contact him today at salvi@prioritypaymentslocal.com. New Jersey is one of the most popular places to call home for many reasons. People just can't seem to get enough of the Garden State. New Jersey offers so much and is in close proximity to New York and Pennsylvania. So here are a few of the top reasons to make New Jersey home sweet home. Another reason the state is a perfect place to live is fun. With over 50 resort cities and towns, Jersey is one of the top vacation destinations in the US. There's the beautiful Cape Mag or the wild times of the east coast version of Sin City: Atlantic City. Lastly, New Jersey is a reality TV show mecca, with folks in New Jersey being featured on a slew of shows. We just can't get enough of the fascinating people that occupy our eastern seaboard. As a result, you can't turn on your TV without seeing someone with the east coast nasal twang going about their wacky lives. Now you don't have to live in LA to claim a slice of fame. Sal Taddeo Jr. is a successful businessman and a loving and devoted father and husband. He lives and works in The Garden State and enjoys the great diversity that the area brings. In the City of New York, being a Fire Safety Director is an important job. It takes a lot of study and dedication. The first step is to find out if you qualify. These are the requirements that need to be met. To qualify you must be at least 18 years old, and you must have command of the English language. You need five years of applicable experience in fire prevention, building service equipment, or a combination of both, or 3 years of experience under the discretion of the FDNY. After completing and passing the school you are then required to can take the written exam (which you get two chances to pass) with a minimum score of 70%. The test is comprised of 100 multiple choice questions. Once you pass this test, you receive a certificate of completion, and you can work as a Fire Safety Director in a building until the completion of the next step. Once you are a Fire Safety Director for a building, the FDNY requires you to then pass an on-site test as well. This test must be taken within a year of taking the written test at the FDNY location. If you are not able to take the test within a year, you must retake the FDNY written test. After passing the on-site test, you will receive your certificate of fitness in the mail, which will allow you to work as an FSD in more than one location if you complete the on-site test for each location. Sal Taddeo Jr. is an experienced managerial professional who also holds a license to work as a Fire Safety Director. Being a good manager is not something that just happens. Getting a degree in management or administration is a good step, but it's not all that's needed to be a great manager. Great managers must have an effective mix of management and leadership skills. That's why experience is an invaluable ally. If you are considering going into management, the following are some of the core skills you must possess. Being able to take a large task and break it down into smaller, more manageable, but interdependent pieces is a key skill that every manager must have. Dividing up the work makes it flow more efficiently. To do this successfully, you must first know the strengths of each employee and department. You must be able to analyze the task and find the best way to break it down. Learning how to do this takes time and practice. Being an efficient manager is not just about barking out orders. Many times, the worth of a manager can be found in their ability to listen and empathize. This skill allows you to understand really what is going in your company. Listening does not just mean paying attention to what your employees say, but finding solutions to problems. Sal Taddeo Jr. is a highly, successful businessman who made it through hard work and diligence. Throughout the years, he has held various managerial roles in a variety of organizations. He is a team player, as well as someone who is skilled at making important and crucial business decisions. He has the right skills for success including being focused, extremely organized, creative, strategic, diligent and friendly. These qualities have made him an excellent leader and entrepreneur. The International Culinary Center is a global leader in culinary and wine education. It was founded in 1984 as The French Culinary Institute by Dorothy Cann Hamilton and now has campuses in New York City and the San Francisco Bay Area. Each facility includes a professional kitchen for hands-on cooking and baking classes, wine tasting classrooms, a theater, library and event spaces. Several renowned chefs are deans at ICC including Jacques Torres, Jacques Pépin, André Soltner, Alain Sailhac, Emily Luchetti, David Kinch, Cesare Casella and José Andrés. In addition to offering culinary education, the International Culinary Center has published several cookbooks The Fundamental Techniques of Italian Cuisine, which won a James Beard Award in 2013, The Fundamental Techniques of Classic Bread Baking, The Fundamental Techniques of Pastry Arts the Fundamental Techniques of Classic Cuisine, which was awarded James Beard Awards in 2009 and 2010. In just six months, ICC takes students from novice to professional skill levels. Their Total Immersion teaching method offers intensive hands-on instruction, which puts students in the kitchen from day one. The school's deans are cooking legends, and a low student-to-teacher ratio assures that each student get the proper attention needed to succeed. ICC ensures each student gets the support not found at larger schools. The school's incredible success can be seen in the hiring of 15,000 remarkable graduates, including Hooni Kim, Bobby Flay, Daisy Martinez and more. Sal Taddeo Jr. is one of the highly successful graduates that studied at the International Culinary Center. He is an experienced CEO and leader in the business world, as well as an entrepreneur. He uses his culinary skills to help raise money for non-profits and volunteers as a chef for various charity groups that provide meals for needy families in the area. Buying real estate is a very serious investment to make. Patience and perseverance are essential when purchasing a home because it's a difficult purchase to go back on. A home is where you formulate memories, raise a family, and create a happy and lively environment. It's where you want to feel most comfortable and most at home, no pun intended. Similarly, when you're buying real estate to rent out for either business or residential use. You want to make sure you make a smart investment and one that you will be able to get a return on. Buying and selling real estate can be difficult, because buyers are wary and as a seller you have to be fair to the buyer but do enough that makes sure you get a good return. Here are some tips for sellers in the state of New Jersey. As a seller do not get discouraged. Regardless of the market people are looking to buy year round for one reason. People buy homes around significant life events such as having kids, getting married, getting a new job, etc. Because these things happen year round, people buy homes year round. Selling in the state of New Jersey is smart because of the state's excellent public education system, good job market, and good neighborhoods. New Jersey is a desirable place to live especially for families, who make up most of the buyer’s market. When you’re selling your home, go the extra mile and make the small purchases and the little bits of efforts to make your home look more presentable. Switch out the light bulbs, get a new welcome mat and make your driveway and front yard look presentable. Sal Taddeo Jr. is a licensed real estate agent in the state of New Jersey. He has built a career as a successful entrepreneur and businessman. The French Culinary Institute is what is now known as the International Culinary Center. It was founded in 1984 as the French Culinary Institute by Dorothy Cann Hamilton who wanted to do a six-month training program in New York that trained individuals on French culinary. 30 years later, the Institute developed and evolved into an institute providing culinary training programs that cover a range of different culinary techniques and genres. The International Culinary Center can boast a host of successful alumni chefs, many of whom are now famous for their profession. They claim alumni such as Wylie Dufresne, David Chang, Christina Tosi, and Bobby Flay, all of whom graduated in the first class. There are International Culinary Centers all over the world including locations in New York, Northern California, and Parma, Italy. The Institute offers a variety of culinary training programs that include professional pastry arts, culinary arts, Italian culinary arts, cake design and techniques, the art of international bread baking, and food styling. Additionally, the International Culinary Center provides programs on how to develop yourself professional which includes business management and marketing techniques. They provide you with skills to be a technical chef and a successful business person. They create an excellent learning environment that is one of the reasons they have been so successful. The classes they offer accept a smaller student size per class to ensure a genuine and personal learning experience. This also allows the instructors to do some one-on-one teaching and always students to feel like they are getting the most out of their education. Sal Taddeo Jr. is a successful entrepreneur and businessman who attended the International Culinary Center. He currently volunteers his chef skills with various charity groups to provide meals for families in need. Sal Taddeo Jr is admired and respected throughout his community for the care, work and devotion he constantly commits to providing for his family. A tireless and diligent business professional, as well as the President and CEO of two successful corporations, Sal Taddeo Jr. is forever working towards keeping his family safe, providing for their welfare and ensuring both his wife and children have everything they need to live full, happy and satisfying lives. President of both Sallee Figs LLC, and Salangi Enterprises LLC, Sal Taddeo Jr works hard to ensure that both teams have the guidance and direction they need to thrive. A successful real estate professional, Taddeo works tirelessly to connect multiple types of high-quality properties with buyers throughout the region. 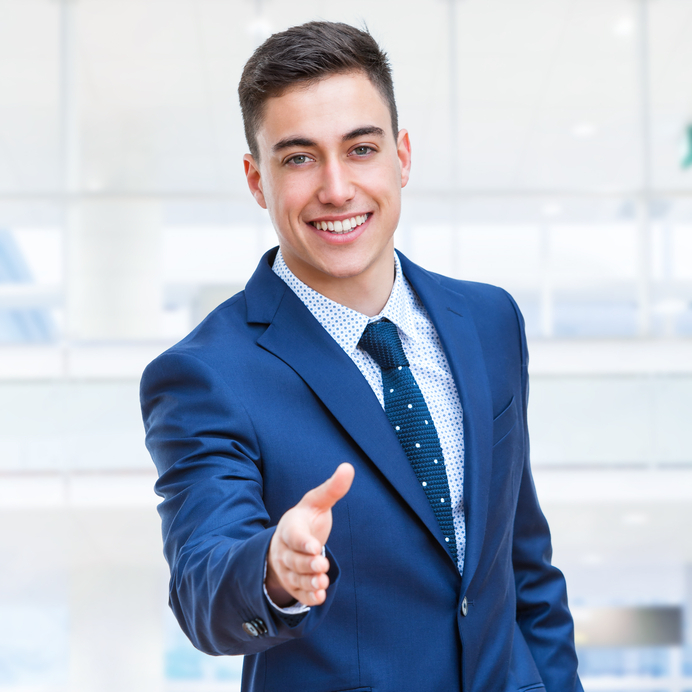 A merchant processing consultant, he works towards the creation of a complete and satisfying client experience, one that will help to retain and grow his company’s business well into the future. All of these efforts, however, are taken to achieve Sal Taddeo Jr’s first and most important objective: ensuring his family is well-provided for and happy at all times. Though Sal Taddeo Jr. maintains a busy, some would say even overwhelming professional schedule, he is more than happy to do so, as he knows that both his wife and his beautiful children are worth every effort he makes. Sal Taddeo Jr’s most fervent desire is to always be the best friend, husband and father to his children and his loving wife. There is no question as to his unwavering devotion to his family, as well as the lengths he will go to ensure their ongoing health, safety and happiness. As President and CEO of several successful firms, which includes Sallee Figs LLC and Salangi Enterprises LLC, Sal Taddeo Jr understands what is needed in terms of building and leading a successful and profitable company. An experienced business leader and innovative business professional, Taddeo continues to demonstrate considerable business management skill, as well as the ability to lead a professional team towards consistent and successful completion of its goals. A licensed New Jersey real estate agent and longtime facilities operations and project management professional, Sal Taddeo Jr has been a valued member of the local business community for more than 20 years. Knowledgeable of and educated in such fields as zoning and building law, architectural planning and design, mechanical and structural design and construction management, Taddeo presents a formidable challenge to any competitor, as well as an invaluable professional ally and teammate to any colleague, organization or team within the industry. Sal Taddeo Jr, who currently possesses a real estate license, a Computer Automated Design (AutoCAD) certification and a Fire Safety Director’s certification, works tirelessly and diligently to maintain a high level of performance, and success, in every industry in which he is currently involved. He provides expert leadership to both Sallee Figs LLC and Salangi Enterprises LLC, connects quality properties with the right owners, and provides exceptional great merchant processing consulting services to every client he works for. Organized, focused and innovative, Taddeo continues to be an outstanding asset to multiple professional teams and organizations throughout the region, as well as of real value to many less fortunate people throughout the community.